Unforgettable San Francisco. 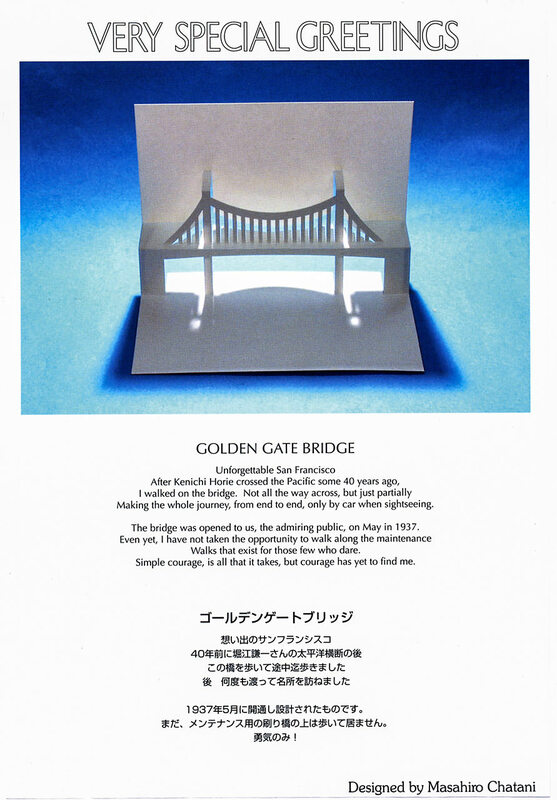 After Kenichi Horie crossed the Pacific some 40 years ago, I walked on the bridge. Not all the way across, but, just partially. Making the whole journey, from end to end, only by car when sightseeing. 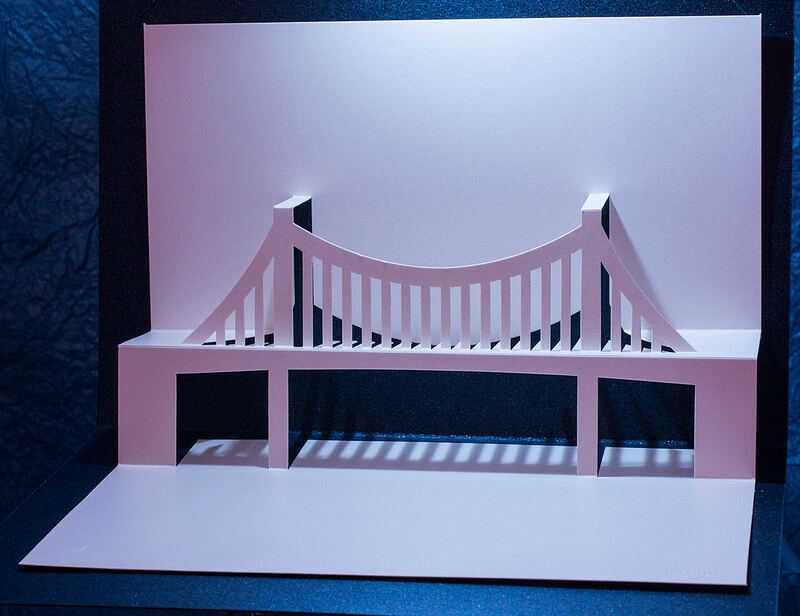 The bridge was opened to us, the admiring public, on May in 1937. Even yet, I have not taken the opportunity to walk along the maintenance walks that exist for those few who dare. Simple courage is all that it takes, but courage has yet to find me. 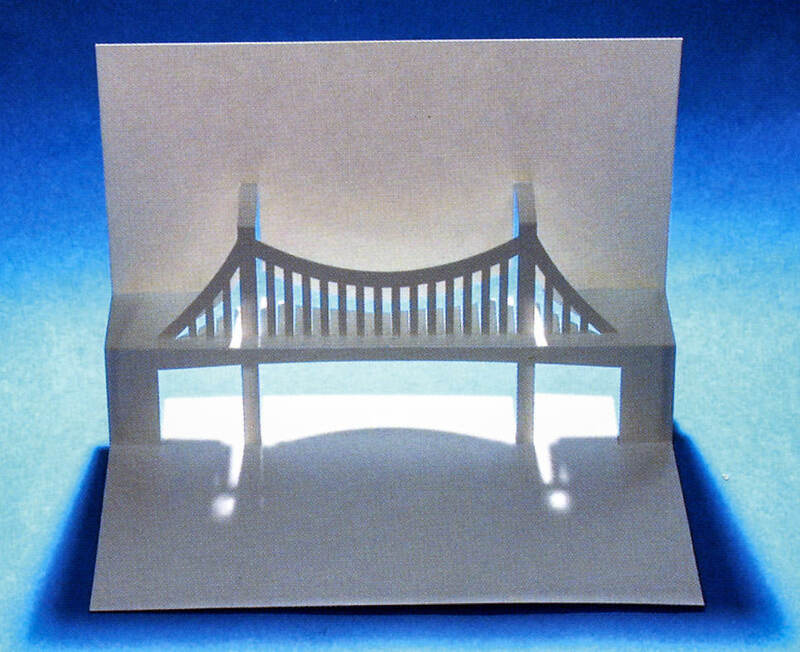 Commercially-produced die-cut origamic architecture pop up card and envelope.